In a change of plan this weekend, reader David Evans has relieved my driving need to sort my scanner out, by helpfully supplying some excellent images for this weekend’s rather late ‘Pictures from the past’ feature. I say this every time, but I’m very grateful to David for his efforts, especially so this weekend. Please, if you’re reading this and have some old local pictures – no matter how trivial you may think them to be – please do send them in. This stuff is very popular, and I’m running out of material to share. With the local history books being reissued, I’ve no wish to reproduce their material and deny them sales, and there’s just not much stuff left out there. David has done an excellent job of trawling the Walsall Wood ephemera, so please – and particularly Brownhills readers, who I feel have been denied a bit of focus recently – if you have anything, please send it in. Brownhillsbob at googlemail dot com. Cheers. 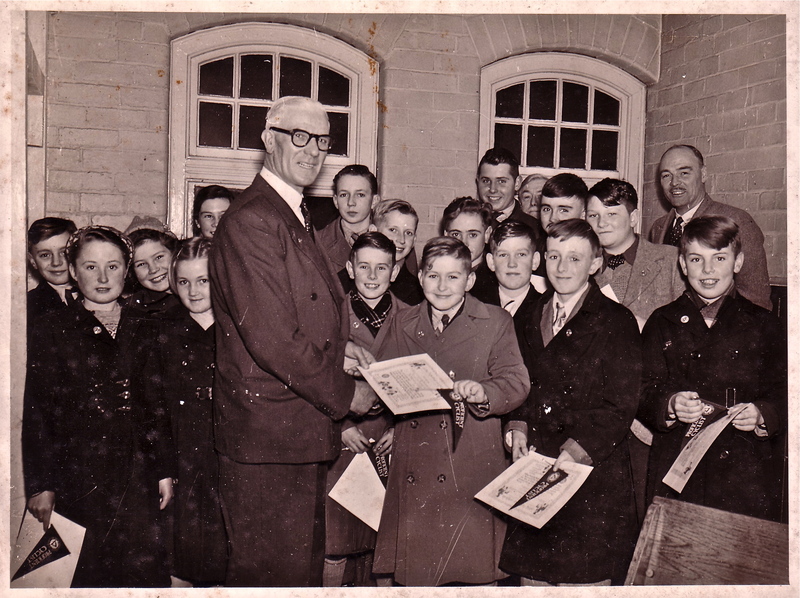 Walsall Wood Cycling Proficiency awards 1953 - photo courtesy of David Evans. Some readers may be able to identify their grandparents in the photo. 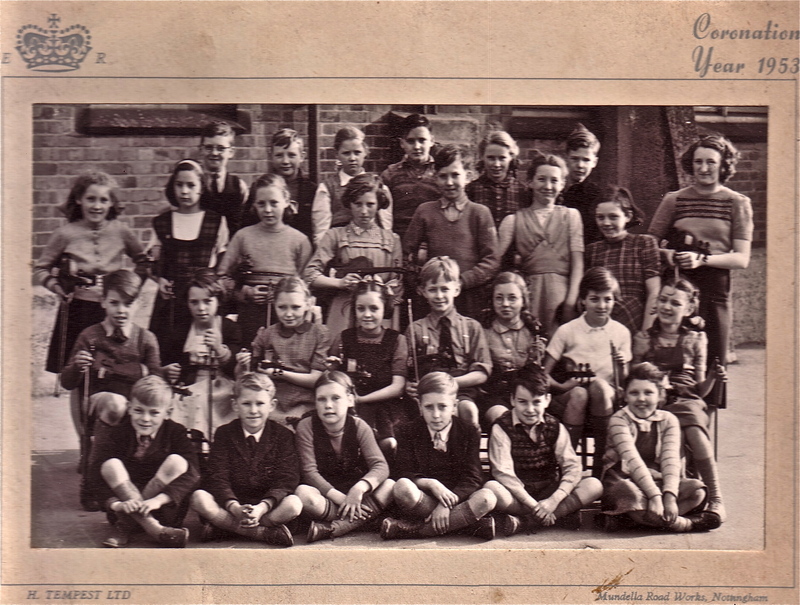 Walsall Wood Primary School violinists of 1953 - photo courtesy of David Evans. Readers may be interested to see this group of musicians in the making and may be able to name some of the group… perhaps their grandparents! Note that the building in the background, the original primary school building, has a brick buttress..a sign of the area’s susceptibility to subsidence. It was a good school and pupils from here went on to enter most of the professions and most of the trades , locally, nationally and internationally, taking their skills and interests in the arts and sports with them. 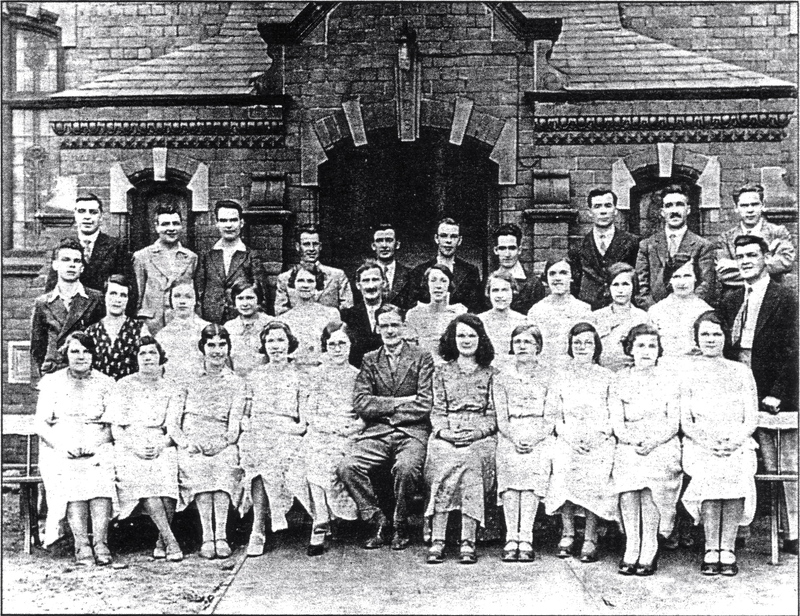 Walsall Wood Ebenezer Churh Choir 1932 - photo courtesy of David Evans. Please excuse the quality of this photo which is from a photocopy of a photo which appeared in a newspaper some years ago. Caz mentioned a Mr Bampton, organist at the time, and his “full-blast” rendition of Handel’s Hallelujah which gave the poor old organ “bellows operative” an interesting time! This is the choir, with Mr Bill Bampton sitting in the middle of the front row. I hope some readers will recognise members of this joyful group. The building in the background is still there and is used as the Church. Walsall Wood footballers of 1955 – photo courtesy of David Evans. 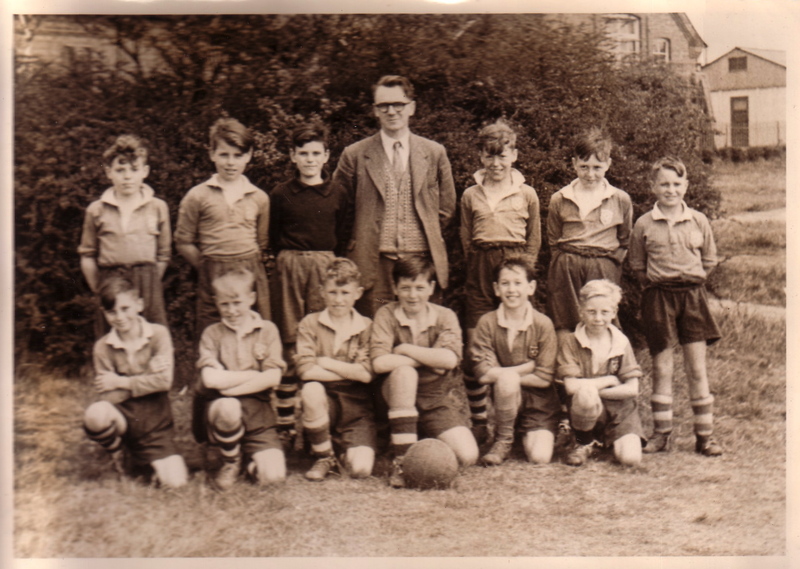 I was pleased to see Trevor’s photo of the aspiring footballers and would like to add this photo which dates back to the squad of 1955 and hope that the team members and/or their children and grandchildren may find this interesting. The pre-fabs in the background have long-since gone and the building , adjacent to Oak Park is now a Youth Centre, I believe. Was the teacher a Mr Shingler? Thanks for more smashing photo’s. It’s lovely to be able to ‘put a face’ to some of Dad’s memories, so thank you David. Is the ladyseated, 4th from left, your Mom? There are a few, that look like our ‘entertainers’ from a previous post. I love to explore the faces, some of those young violinists look as though they can’t wait to get the photo over and done with, but that little girl bottom right, looks like she’s enjoying every moment.